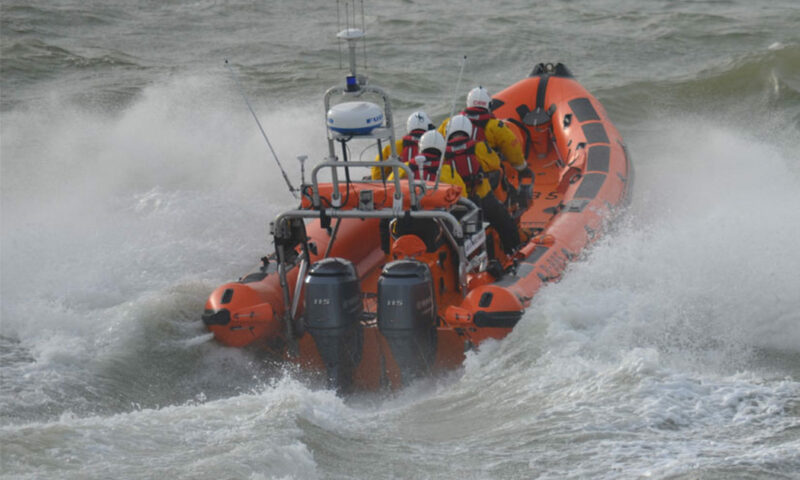 Southend RNLI has a long and proud history. The RNLI first established a station at Southend in 1879 to assist ships going ashore on the many sandbanks of the Thames Estuary. 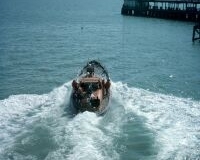 The lifeboat was launched from davits on the Pierhead, 1.25 miles from the shore, much as it is today. 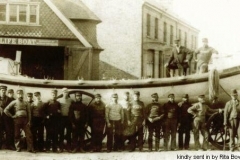 Between 1885 and 1891 a second station existed, the lifeboat being housed in Hartington Road and launched by horse-drawn carriage. The lifeboats at this time were of the pulling (rowing) and sailing type, but in 1928 the first motor lifeboat arrived, the “Greater London”, and this was at first moored off the Pier Head. 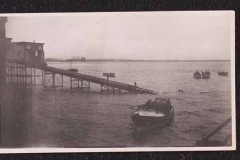 However, in 1935 a lifeboat house and slipway were completed adjacent to the Pier Head railway station. 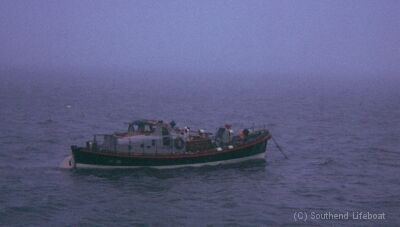 The “Greater London” was one of the 19 lifeboats which went to Dunkirk in 1940. 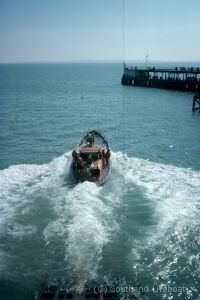 Inflatable inshore lifeboats were sent to Southend in 1965 and 1969 to assist in the increasing number of pleasure craft. 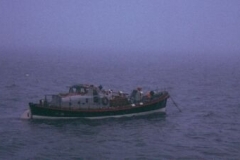 The conventional lifeboat, the “Greater London II”, a Watson class boat which had served the station since 1955, was withdrawn from the station in March 1976, being replaced by an Atlantic 21 semi-rigid inflatable, named the “Percy Garon”. One of the D Class ILBs was also withdrawn. A new Atlantic 21 was placed on station in 1986 and was named “Percy Garon II” by HRH The Princess Anne on 2nd May. 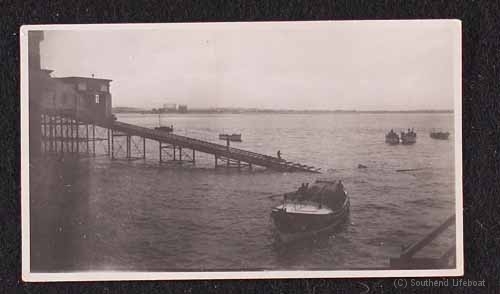 Less than two months later, disaster struck the lifeboat station when the coaster “Kings Abbey” sliced through the Pier and lifeboat slipway. The supporting structure of the lifeboathouse was also badly damaged and later had to be demolished. A temporary station was quickly re-established at the pierhead. This was officially opened on 24th January 1991 by HRH The Princess Royal. We were in this accommodation until the new boathouse was built and the latest regeneration of the pier started. The Inshore Boathouse was officially opened on Tuesday 16thJuly 2013. His Royal Highness The Duke of Kent, President of the R.N.L.I., was kind enough to visit the station to perform this task. Accompanied by R.N.L.I. Chief Executive Paul Bossier, and our then Lifeboat Operations Manager, John Foster, HRH The Duke of Kent met nearly everyone of the stations’ volunteers. It was clear from HRH’s questions that here was a President who knew an awful lot about how a Lifeboat operation works.